Since their inception in 2010, Babymetal the entity has always demanded that people pay attention to them. By the time they started to break through in the West in 2014, they had already achieved a love-em-or-hate-em reputation, and their introduction to tr00 metal audiences sparked the same reaction. At the time, they were armed with a small discography that was shockingly diverse. J-pop-meets-thrash-meets-death-meets-power-ballad-meets-whatever proved to be addictive, though, and they only built on their debut in 2015 with the barest of whispers of new material. Their fan base grew. They became little meta-pop-culture touchstones, with their own dolls and magazine covers and tattoos. Not bad for three high schoolers. Unsurprisingly, then, when they announced their sophomore album, the entire rock world homed in: Could the novelty keep working? Could they match the brilliant madness of Babymetal? Could they even top it? With expectations so high and fans in what can only be described as full froth, with hype building and major TV appearances on the horizon, it was surprising that almost every review bordered on fawning adoration. I saw “game-changer” used quite a bit. “Album of the year.” “Best metal album I’ve ever heard.” People who love Babymetal (and most people who like Babymetal love Babymetal) were hearing the review disks and more than ready to make the Queen, Su-metal, an actual damn queen. The thing is, Metal Resistance isn’t any of those things. What it is is a very friggin’ good collection of music that still manages to completely defy easy categorization: It’s metal, often VERY metal, and it’s brutal and beautiful and glorious. It’s also much more rooted in contemporary idol-meets-metal than Babymetal. It’s a lot of things at once. In other words, it’s a Babymetal album. So that’s how I’m going to address this; some people have looked at Metal Resistance as a metal album, and some have looked at it through a very idol lens. In the spirit of this site, a place that celebrates idols going hard and really only worries about genre as a way to package and compare things, I’m looking at it as a product of Babymetal, not in comparison to what came before but in relation to it. Well, my ultimate expectations were met very well. This isn’t a perfect album, but it is a very good one, one the entire Babymetal team should be proud of, often better than the debut but also missing in a few spots. Thanks to fancams and the surprise weekend release of the live video from Yokohama, most Babymetal fans have connected with the epic stadium-destroyer “The One.” I really, truly do love that song, and have for a while. It very literally soars, all Su-metal turned up to 11 in what could easily be some new country’s national anthem. It’s maybe the third best song on the album. Got a gift. Two words: "melodic deathcore"
And I stand by that description. I’m also a huge mark for BLACK BABYMETAL, so the fact that they also got “GJ!”, which honestly could be a more metal-oriented PassCode track, made me a very happy person. These are where Metal Resistance‘s real power lies. The album as a whole is a win for including them. Up against the Trinity of “Megitsune,” “Ijime,Dame,Zettai” and “Headbangya! 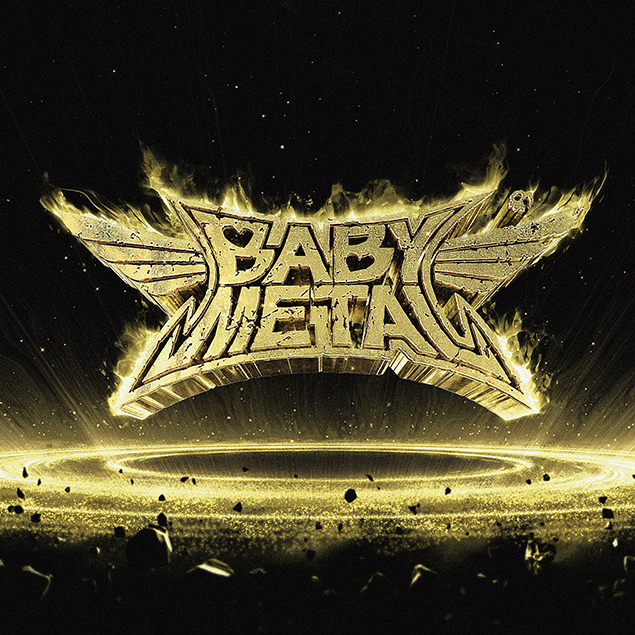 !” from Babymetal, they match up quite well, even surpassing what the original accomplished. All Sulos are good; “Amore” beats them all. There’s a similar issue with “Awadama Fever,” which was the first bit of new music to make an appearance, back in late 2014. At the time, it had fans excited — a literal bubblegum metal song, created by Ueda Takeshi of “Gimme Chocolate! !” (and “STUPiG” and all of Mad Capsule Markets and AA=) fame. The problem, though, being that it’s ultimately so similar to “Gimme Chocolate! !” that it feels like a pointless retread when packaged with the rest of this album. Yes, it’s plenty of fun, and maybe the “most Babymetal” song in here, but it’s likely to be the first skip in the track list. Also just not quite working is the I-don’t-get-the-hype “META TARO,” which is exactly what people have described it as — Viking-hymn-meets-Frere-Jacques-meets-nursery-rhyme–but doesn’t mesh very well. The vocals are actually wonderful, sing-songy interplay between the three members to the tune of something you sang when you were in first grade. They just don’t meet up well with the instrumentation or the male backing vocals. And yes, I get that it’s a tribute; I just don’t care. And I feel almost like a jerk for saying it, but “KARATE” actually does very little for me (original reactions notwithstanding). It’s too sludgy on the one hand and too safe on the other. It was obviously written to be a crowd-pleaser, and was released as the lead track for that specific reason, and it’s a perfectly harmless rock radio song. It just lacks Babymetal’s actual soul. For all the hype, for all the expectations, for all the pressure, Metal Resistance is actually very good. No, it isn’t perfect, but being the standard bearer of a musical movement has its benefits, and the top-notch writers and arrangers and engineers who work with Babymetal have fantastic raw material — Su-metal, Yuimetal and Moametal — to play with and create great things. Even 80 percent of top notch is going to be pretty great. So in the end, Metal Resistance is a winner. It has plenty in it for OG Babymetal fans, plenty for newcomers, plenty for idol fans and plenty for metalheads. Where it misses, it doesn’t miss by much; when it connects, that ball goes a long, long way. Added to the Ultimate Homicidol Playlist: Just “KARATE” for now, and “Road of Resistance” already lives there. There will undoubtedly be more. Conservative guess, they’ll play everything they can from this album and include “Megitsune,” “IDZ” and “Headbangya! !” at the least. It also appears that “Babymetal DEATH” will be played at Wembley, so that’s an option, too. 3. Tales of The Destinies. You have a mostly correct opinion! But “Meta Taro” can go jump in a lake. I get lost around the 3:00 mark. For as much as you think some songs miss the mark, I think those are what makes this album truly great, and not just an obligatory nod to the fans of the first album. Bottom line: BM is STILL finding ways to do metal and idol DIFFERENTLY. My personal favorite as of now is From Dusk Til Dawn. Electrometal is rare enough, but throw that with the idol side of the snippets of vocals, and the dirty wubs, and you have something truly INTERESTING. I think the reason that Babymetal has caught on so hard is because no one has heard of anything like it when they first listen to it. It’s familiar enough to love, but gives your ears something new that you didn’t even know they were missing. Their first album did that in spades, with IDZ as their interpretation of power metal, and Onedari Daisakusen as their interpretation of Nu-metal, etc. That is my view of those songs that you said fell a little flat, and why I think they work incredibly well as Babymetal songs (using your approach of ignoring genres and focusing on the band). Meta Taro, viking-idol-metal, is something no one has done yet, and they took the step to go for it, and it worked way better than it sounds on paper! From Dusk Til Dawn is a similar realization as I stated earlier. I have to agree with you that No Rain, No Rainbow has some questionable choices from the sound engineers, and I think Awadama Fever has a similar problem with mixing levels and some weird choices for snippets that were added. Now, Tale of the Destinies, that everyone seems to be losing their minds over, will probably be my first skip track, but my opinion is colored with a general dislike of Prog. It feels like it has so little direction towards any logical musical conclusion of phrases, and just gets lost in the weeds to me. But, that’s personal opinion, I’m sure as a prog song it’s good. All in all, good review, good points, I think we can agree to disagree. Also: Can we agree that Su’s English pronunciation in The One is really spot on, especially when you compare to her earlier interviews! She seems to be taking those English lessons pretty seriously, or put in some major time parroting sounds. Let me clarify my use of the term “Prog”. Yes, Prog is a shortening of “Progressive”, and both therefore meaning the progression of a genre. However, “Prog” used as a label in this respect generally refers to embellishments added to a song or used in a band’s style that are rather specific in nature: The use of odd timings, the use of odd keys and scales, taking liberties with solos, length of songs, etc. These are all considered “Prog”-y characteristics. To use other metal groups, no one would refer to Metallica as “Prog”, they are in many ways as standard as metal gets, but they progressed thrash metal in an amazing way during their reign. To contrast, many people refer to a band like Opeth as being “Prog”, because of the odd timings and rather lengthy solos they have in their music. In my statements, this is the meaning of “Prog” that was used. Of course if the other definition is used I’m completely contradicting myself, haha! These odd timings etc. that are used by Prog-whatever bands DO move a genre forward after there is a general consensus of which elements to include in the core definition of a new genre, but until that definition is set forth, it is just oddities in the sound of an established genre. Babymetal is undefinable on one hand, and yet they are a major MAJOR touchstone of an entire genre on the other hand. Thier progression of the genre of Idol Metal is something I love. The use of “Prog”-y themes in Tale of the Destinies is something I’m not a fan of. Always appreciate your well thought out insights. Of course, I was not suggesting you had a misconception of Prog, I was using the term in its 100%, literal definition, as it seems to me that Prog itself has ceased to progress much in the past 10 years or so. Sure, new bands have surfaced, but the trademarks within the genre, as you accurately described, can only go so far before the “song” gets lost in the chaos.Much like the late 80’s became a shred-fest of guitar acrobatics, overriding any notion of memorable song writing, and ultimately burning itself out.I used the term progress, in referring to Babymetal, as an overall description of the concept, based on the first album being mostly,a collection of disparate songs veering wildly in different directions.That overall concept of including many unheard of combinations, may become as much of their trademark as the generic labels that have been applied thus far. I personally hope they continue that “scatter shot” approach, as it makes for a more interesting and unpredictable listening experience. Good chat my friend, see you on the next one. I also have a problem with No Rain, No rainbow. There is a better track to fill its space: Tamashii no Rufuran. I strongly desired that this song was in the actual disc.